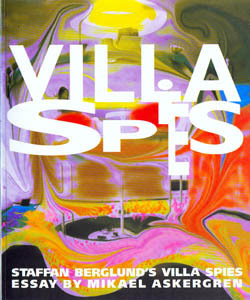 The Villa Spies is the futurist summer villa built in 1969 for travel industry tycoon Simon Spies high up on a rock overlooking the many islands of the archipelago just outside the baltic shores of Sweden’s capital Stockholm. The book has been out of stock for years. The offer to buy a copy of the book from CINE Arkitektur is a rare opportunity.